The life-saving nasal spray NARCAN will soon be available in all ACME Markets pharmacies in Pennsylvania, the company announced Tuesday. NARCAN is a medication used to combat the effects of opioids and is known to prevent deaths due to overdose. Stores in Delaware County, 10 in total, already have a supply of NARCAN. All other locations will carry a supply soon. "The opioid and heroin epidemic cannot be ignored," said Danielle D'Elia, communications manager for ACME. "By stocking NARCAN Nasal Spray in our pharmacies, we hope to give our communities – the family, friends, loved ones and caregivers of those struggling with addiction – a tool that might help prevent the avoidable loss of a loved one." 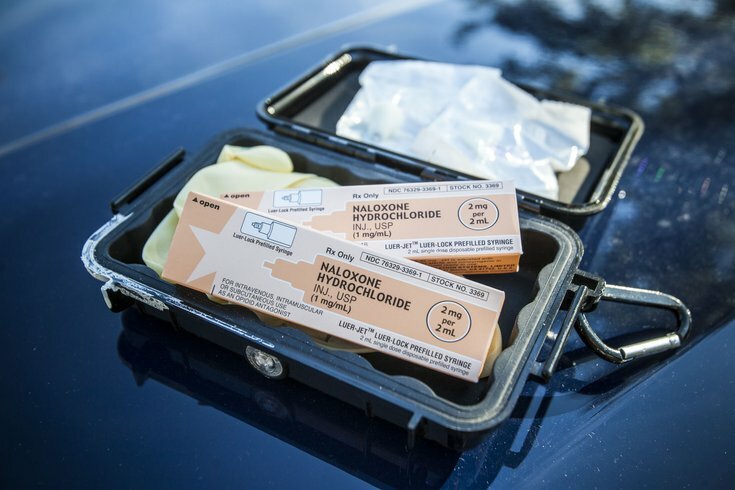 Police officers in Delaware County were the first in the world to carry NARCAN, according to county officials. "In Delaware County, heroin and opioid abuse is a serious health and public safety threat that is endangering lives and tearing families apart," said Delaware County District Attorney Jack Whelan. "We believe making Narcan Nasal Spray available to first responders and police as well as families will continue to save lives and provide a chance for those suffering from addiction to get help." The state of Pennsylvania issued a standing order in October 2015 that provided the entire state with prescription access. The U.S. Centers for Disease Control and Prevention estimates 89 people die every day from opioid-related overdoses in the country.